Beans are such a cheap staple and so easy to prepare. We eat quite a bit of them in our house. There’s nothing like a nice warm lunch in the winter of easy refried beans and melted cheese! 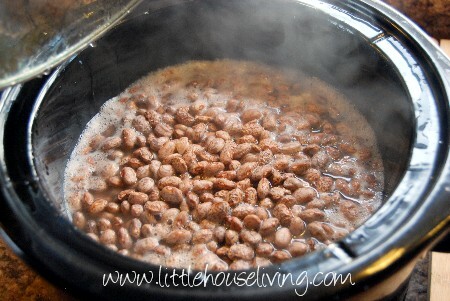 One of my favorite ways to make beans is to cook up a big batch in the slow cooker and then freeze what we can’t eat now to make an easy meal for later. 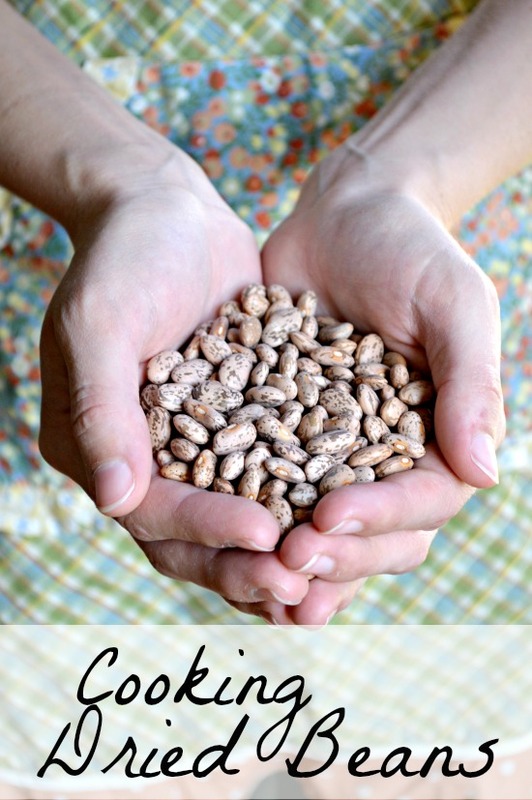 We also really enjoy making canned beans but this method is a great alternative. 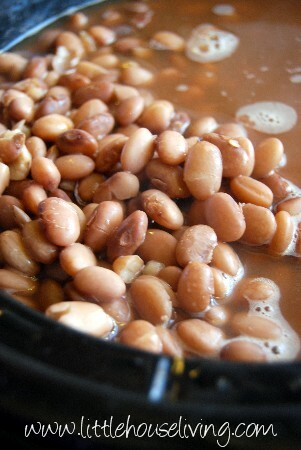 To make this recipe all you need is a slow cooker and some pinto beans. I buy 5 pound bags of organic pinto beans from my co-op for only $8, and 5lbs cooks up to a lot of beans! 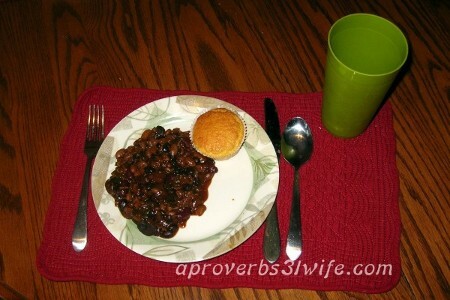 When you make beans in the slow cooker DO NOT put more than 4 cups of beans in a 6 quart cooker. The beans will expand a lot! 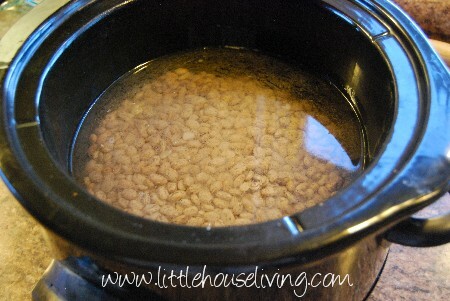 Start by washing however many beans you need for your slow cooker, I have a 5 quart slow cooker so I used just under 4 cups. If the beans are organic they really don’t need much washing. A nice rinse will do. Cover the beans in water, make sure there is several inches of water above the beans. Turn the slow cooker on high. This is after the beans have been cooking for only an hour. Make sure to keep adding more water as the beans expand and soak up what you’ve already added. These are the beans after 4 hours, they are starting to look very yummy and smell really good now! After 6 hours you might want to add in some spices. You don’t have to depending on what you are going to use the beans for or if you want to leave them “un-spiced” for later spice additions. I chose to add a little bit of garlic powder and minced onion for just a hint of flavor kick. Leave the beans cooking on high for 8 hours total. If you start them in the morning they will be ready in time for supper! 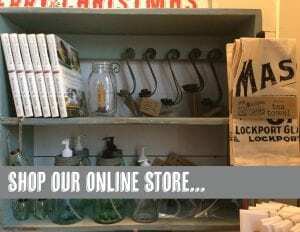 Now if you are a northerner you are done! Apparently however, in the south a true refried bean is brought to the stage picture above and then fried in some kind of fat. Sounds like fun to try sometime! You can use these beans just like you’d use any canned refried beans in a recipe. I like to cool down my extras and put them in freezer bags to save to thaw out for later meals. 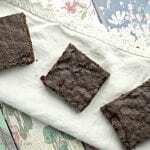 We love make ahead meals here! 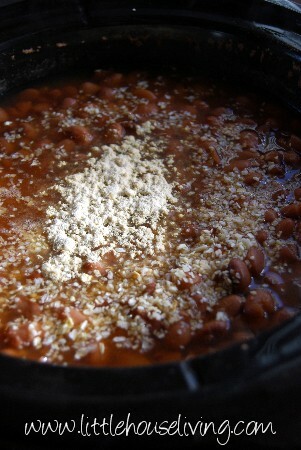 How do you like to use easy refried beans? We use refried beans when I make tacos or taco salad. Delicious. We really like refried beans, too. They are so cheap, filling, and nutritious. I had to smile when you mentioned beans with cheese on a cold day (us too!). I like to pressure cook a big batch, beat with a hand mixer to “mash” them, and freeze in family-size portions. I add salt and grated cheese when I heat them up. They seem to round out a meal so nicely. We make homemade corn tortillas and use the beans as the base for vegan tacos. Yummy! We like to mash them with taco seasoning. If we have leftovers we eat them as dip with chips the next day for lunch. 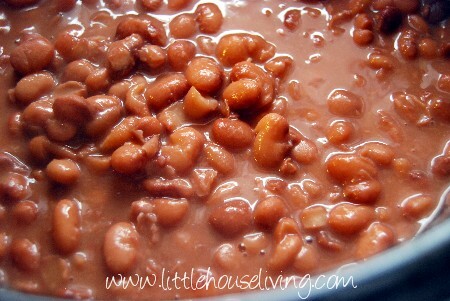 Homemade refried beans are so cheap & simple to make. I started making my own about a year ago and can’t believe how different they taste compared to the super salty canned variety! 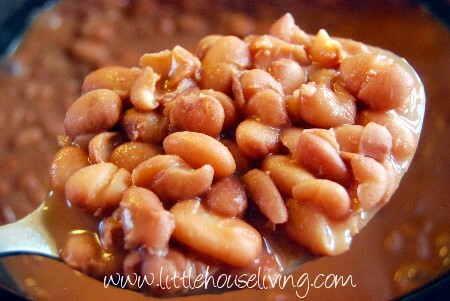 These look tasty, I’ll have to try making beans in the slow cooker next time. I have been getting together crkpot/freezer recipes today & had planned on making refried beans , they are SO easy & SOO good..
& there in my eml inobx was a perfect recipe for exactly what I was looks for ! LOL thanks SO much..
God Bless & have a great day . 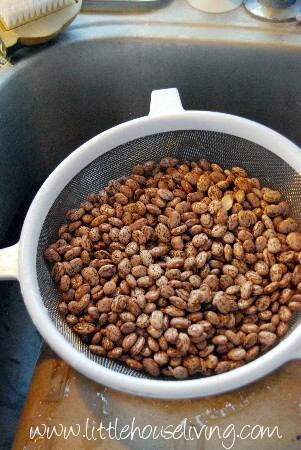 Can you soak the beans and rinse them to reduce the gassy side of them? Or does that not work for pinto beans?? We are trying to make these while we are snowed in this week!! You could just rinse them first (I always do) and we never have any troubles with them being “gassy”. I’m not sure if that’s the reason or not but you could try it! i was wondering if u know if possible to can the refried beans? 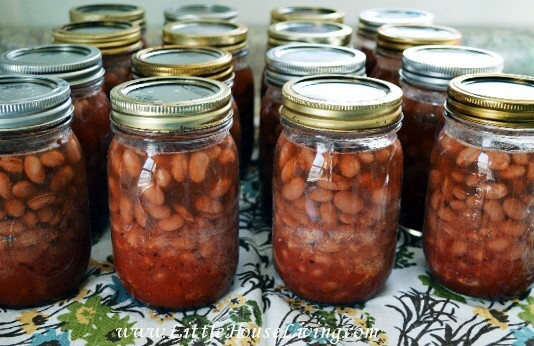 You will want to check out this recipe: https://www.littlehouseliving.com/canning-dried-soaked-beans.html They turn into refried beans when canned…so good! I would definitely say these are not retried beans, and I am a ‘Northerner!’ These look good but they are just cooked beans. I gotta have them mashed and then refried with added fat. 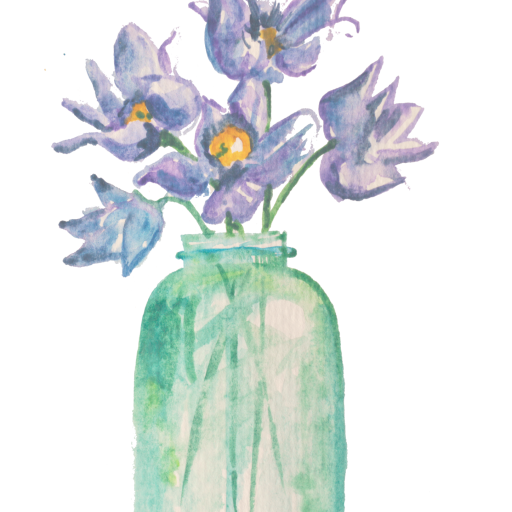 With all your wonderful recipes and your many make ahead recipes, All I have saved for later when I am well enough to make, I ask, why do you not use a food saver? 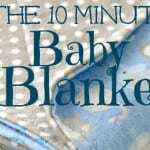 I do, and my make ahead’s last me at least 6 months to a year longer whether it be cupboard use or freezer? 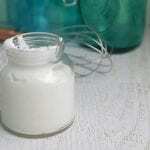 We just prefer either using jars or plastic bags since they are cheaper. Our meat comes vacuum sealed from the butcher. 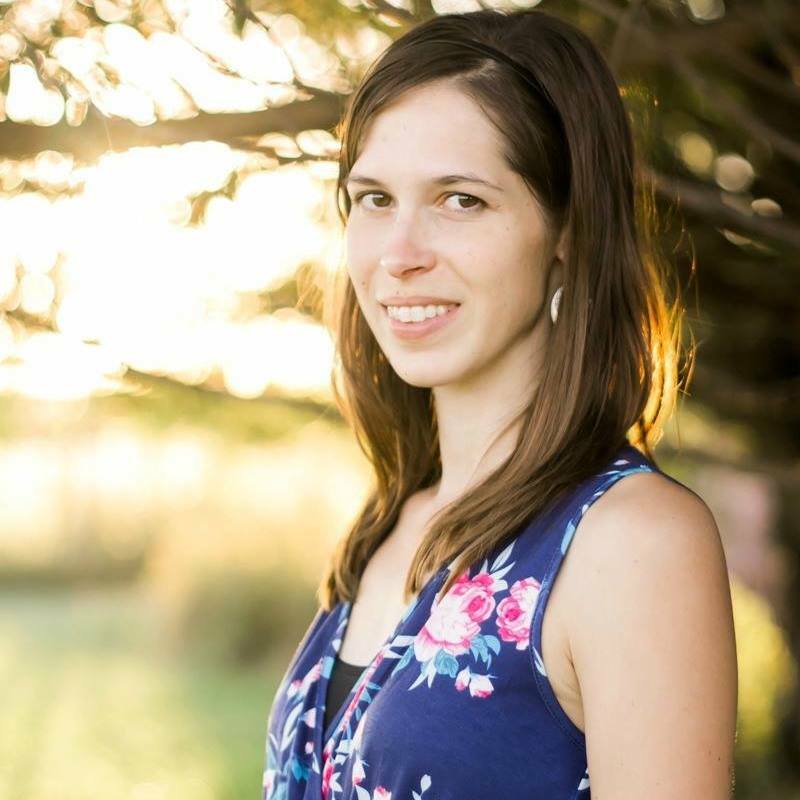 Is there a particular brand of organic beans you buy or recommend? I LOVE dry beans, but I must avoid chemically dried beans, which many are, but donot say so on the label. The only place I know to be sure that is what I am getting is Rancho Gordo. They air dry their beans. Only other option is to buy canned – -usually Eden brand. I look for those labeled “Beans, water , salt.” If they say “Processed beans or cooked beans, etc.” I do not buy them – -I have no idea what they were processed or cooked in or how. Thank you. I usually get my dried beans from Azure Standard but I guess I’m not sure how they dry them.